Happy Halloween LLN’ers! Ahh, Halloween. The time of year where you can go buy a whole bag of chocolate bars and candy all for yourself and not feel ashamed since you can use trick or treaters as an excuse. Uhh, I mean, not. I don’t do that! (cough, cough). Well while kids are rotting their teeth out in a dentists favourite time of year, I decided to bake something a little more healthy for this Halloween! You guys all know I made a TON of pumpkin puree a while ago and decided to have a baking marathon. So far I’ve shared my pumpkin pie recipe as well as my twist on the classic roasted pumpkin seeds. Well today, I’m going to show you how to make pumpkin bread! 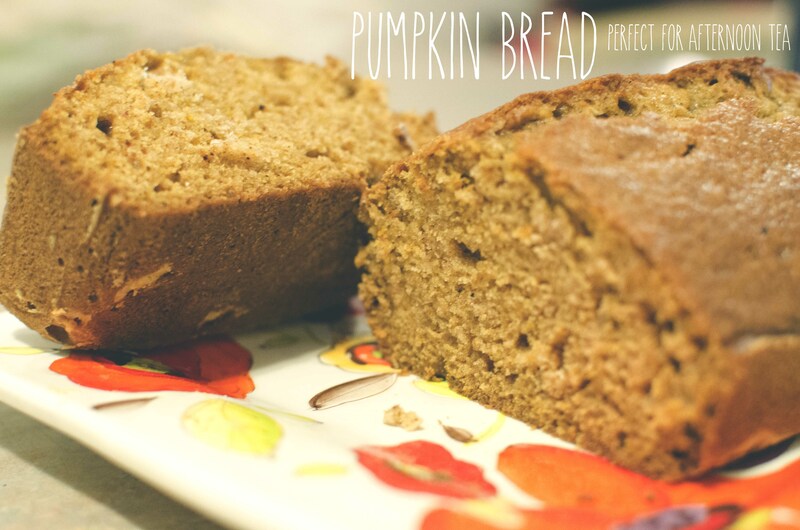 I’ve never made pumpkin bread, or even tasted it, before this! But I had it in my mind that it was the same as banana bread, only with pumpkin. My educated guess was right! This festive autumnal loaf is super moist, with the right amount of pumpkin and spice (and everything nice!) It’s great for a snack on the run (especially for breakfast at school!) or for a nice accompaniment with afternoon tea. I pulled the recipe for this delicious pumpkin loaf from All Recipes. This recipe actually makes three (THREE!) loafs. So as you make one loaf (or two loafs) for yourself, you can give a loaf to family or friends as a yummy gift! I happened to give one of the loafs to my brother and dad (who are fending for themselves food-wise while my mom is out of town) and they were super appreciative. I then used one of my remaining two loaves in another super fun and secret-y recipe, which I’ll share with you guys next week! First, preheat your oven to 350F. Then grease and flour three 7×3 in pans. 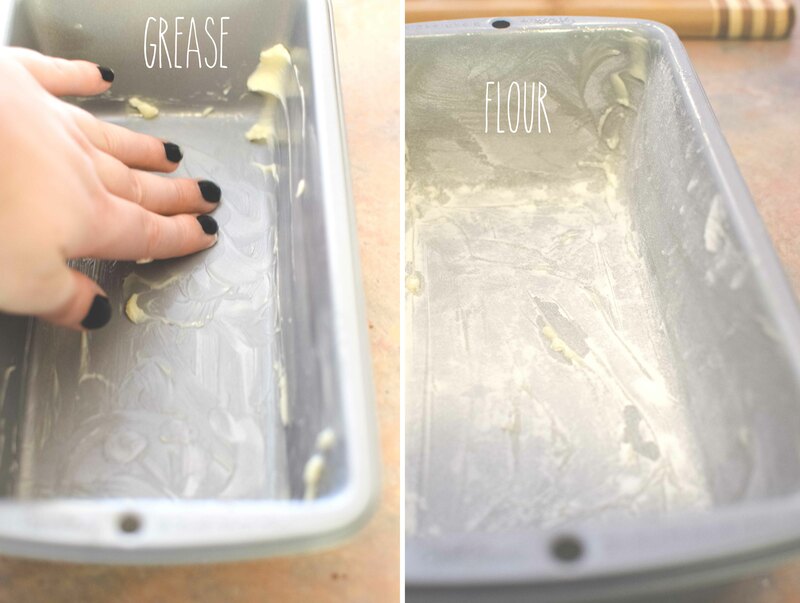 Or, if your like me and have only two loaf pans, you’ll just have to do your baking in two batches! Now for the mixin’. 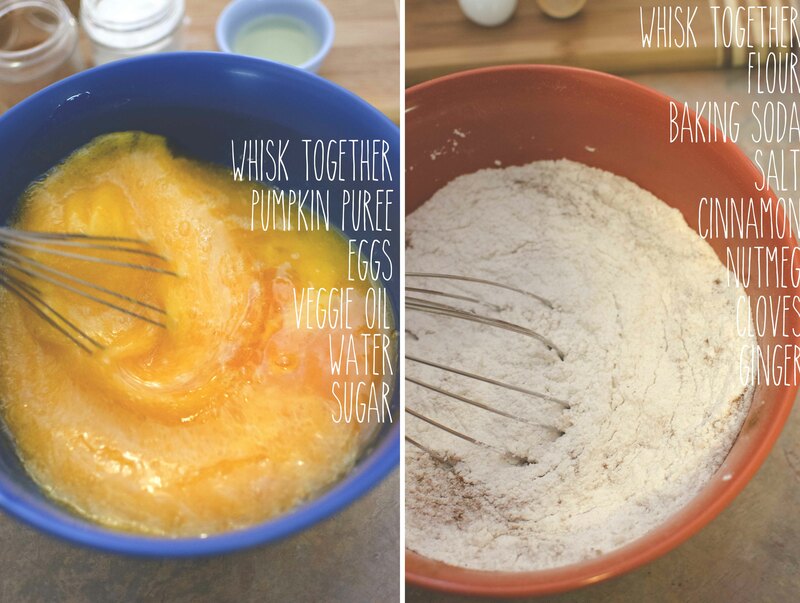 In a large bowl, whisk together all your wet ingredients with your sugar. In a separate bowl, whisk together your remaining dry ingredients. 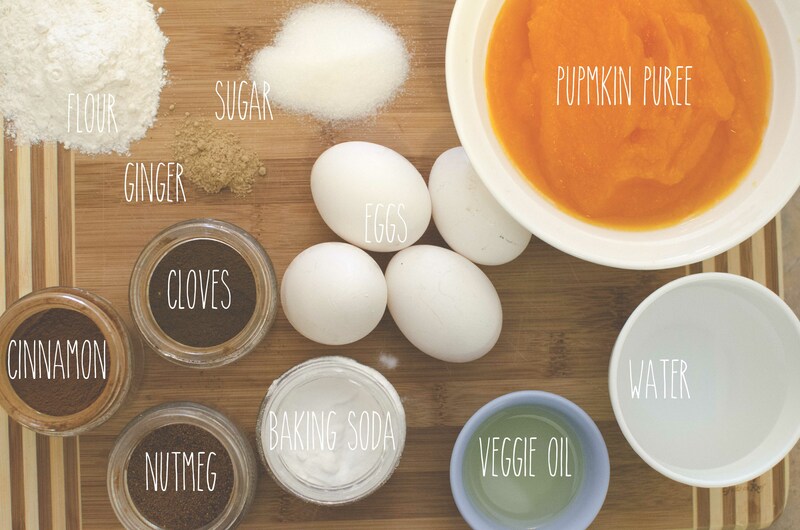 Stir the dry ingredients into the pumpkin mixture until just blended. Then pour into loaf pan. Bake at 350F for approximately 50 minutes. Loaves are done when toothpick inserted in center comes out clean! So how about it? Will you give this recipe a go? Be sure to check in next week when I add some orange food colouring to one of these loaves for use in my fun, secret-y recipe!